If you are tired of your application falling into a black hole and want a better way to communicate with a potential employer and secure an interview, then you need to get referred. Here’s how to make contact and what to say! 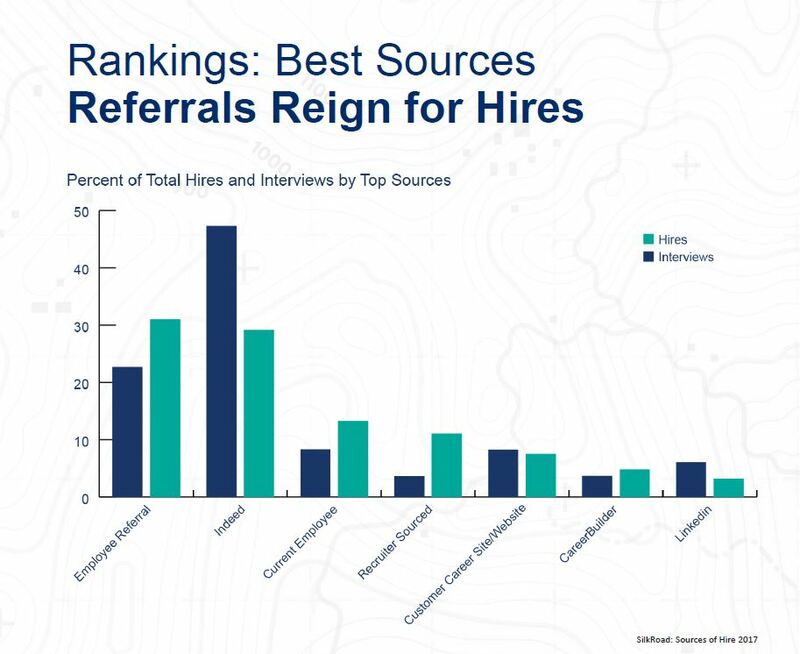 Over 30% of new hires come from employee referrals according to SilkRoad’s Source of Hire 2017 study. Companies report that employee referrals beat out the other hiring methods including applications from Indeed, current employees, candidates sourced by company recruiters, company career website, CareerBuilder and LinkedIn. And then there’s this evidence from Lever, shared by Donna Svei, AvidCareerist. Please read the full article here. More than three-quarters of U.S. workers say that their company has an employee referral program according to talent acquisition solution provider iCIMS’s 2017 Modern Job Seeker Report. 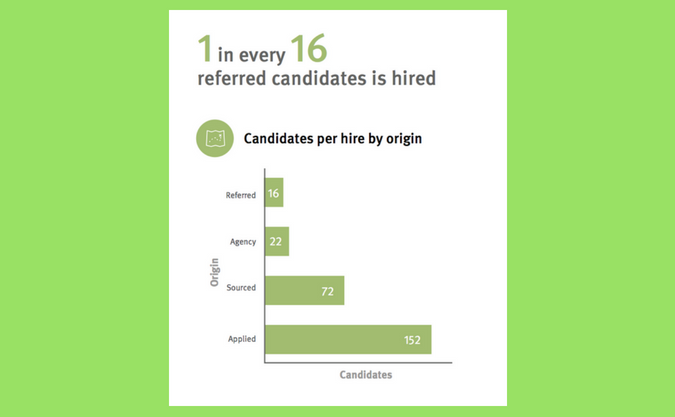 This means there is an incentive for employees to refer candidates for job opportunities. Why is this? Referred candidates stay in the role longer and make better employees. But financial incentives aren’t the only reason employees refer people for openings in their company. Believe it or not, people want to help you and help their company. All you have to do is ask. There are two ways to get referred. Before a job is posted, contact people who work inside companies you are interested in working for. You can learn more about creating a target list of companies here. You want to meet with people inside companies to learn what it is like to work there. The best time to do this is before a job is open because once a job does get posted, lots of people will be reaching out and asking for these meetings. The secret is staying in touch with these insiders so when a job is posted they will think of you and reach out to let you know about the new opportunity. The second way to get referred happens after you’ve found a job opportunity. Use your in-person network, LinkedIn, Twitter, and even Facebook to identify friends or friends of friends inside the company. UPDATE: In 2019, you are not able to search profiles by work or job title any longer. You can, however, use X-ray search to look for Facebook profiles containing employer or title information. Never send a message to someone you are not friends with on Facebook. Your message ends up in a strange inbox and most people will never see it. Instead, use email. You may have to ask your mutual connection for an introduction or to forward your message along. 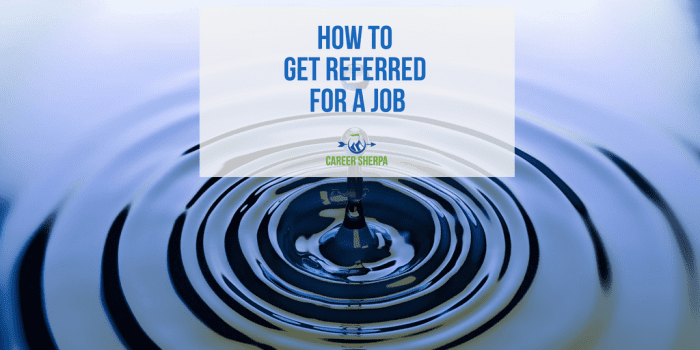 It is easier and faster to reach out to the people you’ve been networking with inside a company and ask them to refer you for the job than to try to build new relationships with insiders. Use every means possible to find someone who knows someone who works at the company with the job you are interested in! It doesn’t matter what role your contact holds. What is important is that you reach out and ask for a referral. From the desktop version of LinkedIn, go to the jobs tab. You will see a section that says “jobs where you can get referred.” This allows you to first focus on jobs where you have connections. View the job and the people you know inside the company and identify the best person to refer you. Choose either someone you know well or someone who is familiar with your work. Asking someone you don’t know very well to refer you can be awkward and may not get the desired results. Once you find the best connection to refer you, LinkedIn allows you to send a message directly from the job posting. The recipient will also receive a link to the job posting. LinkedIn supplies a basic message which you can edit. Here’s what the message says when you ask for a referral. Hope all is well with you! I came across the [job title] role at [company name] and am interested in applying. Would you be open to sharing my LinkedIn profile with the hiring team so they know about my interest in this role? Happy to chat more if you have the time as well. Looking forward to hearing from you. Here’s a template to help make it easier to ask (and get) a referral. I wanted to reach out and ask for your help. There’s a job for a [job title] at your company and I’m very interested in applying for it. You may remember, [state how you know each other]. Based on what I read, I believe I would be a great fit for the role. I have been watching [company] and am excited about [something interesting the company is working on]. Additionally, [company]’s focus on [volunteer projects the company supports] aligns well with the volunteer work I’ve been doing at [volunteer organization]. If you need more information, I’m happy to have a conversation if that would be easier. The best way to get your resume to the top of the stack is to tap people you know (or meet) inside the company.